An environmental conservationist and landowner has set an end-of-year deadline for his wolf reserve in the Scottish Highlands. 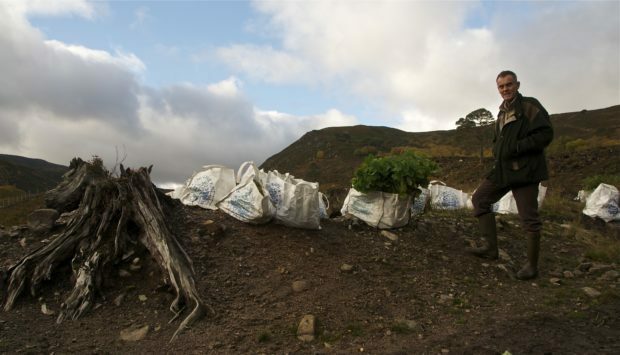 Paul Lister, a trustee of the European Nature Trust, told the Press and Journal yesterday he believes the initiative could create up to 50 jobs in a remote rural area in the north of Scotland. He argues it could become the Scottish equivalent of Yellowstone Park in the United States and eventually develop into the wildlife equivalent of the NC500 in attracting visitors to the region. But he insisted that, given his involvement in other nature ventures in Romania, Spain and, more recently Belize, he couldn’t wait indefinitely to move forward with the scheme. Mr Lister said: “We are looking at creating a site of 50,000 acres – which is less than 1% of the Highlands – where we could release a pack of Swedish wolves into a controlled environment. “It would be a world-class visitor attraction and I absolutely believe we can make this idea happen; a kind of Yellowstone of Scotland. Some critics of the venture argue it would restrict the right of the public to have unlimited access to an area of natural beauty. Others are opposed to the the reintroduction of wolves and claim it is simply a gimmicky scheme which could endanger indigenous wildlife. However, Mr Lister is convinced the initiative would be a huge tourist attraction in a remote part of the Scottish countryside. He added: “I want to do this, but we would really need to have the details nailed down by the end of 2018, so we can move forward. “To me, it is quite simple. If we gain approval from Highland Council for our proposal, it can bring significant benefits to the area in terms of biodiversity, tourism, job creation and education whilst being sustainable. “It is the type of proposal which requires a leap of faith and a bit of imagination, but I have seen what has been possible in other parts of the world and there is no reason why this can’t happen in Scotland. Mr Lister will provide more details of his plans in the months ahead. Nobody at Highland Council was available for comment.